It is probably also possible to make this wonderful dip with oven-baked eggplant. But if you ask me, the smokey taste is essential. Wash the eggplants properly - you will not peel them. Pack them into aluminium foil and grill them directly on the coal at the end of a BBQ session. It should be baked well but not burned - this is the biggest challenge. Let the packs cool down, then unpack them. Mix it in a bowl with the finest olive oil, pepper, salt, minced garlic and sour cream. Use blender. The dip gets even better after one day in the fridge. Serve with naan bread. Posted in Snack. 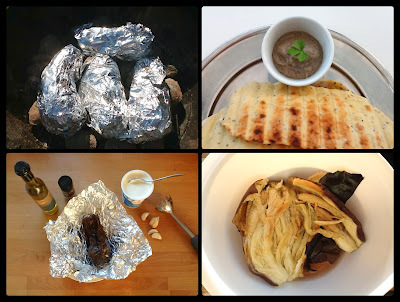 Tags: BBQ, eggplant, grill on 06/05/2014 by Maagedeli. The BBQ season has started. I love it because practically everything and anything can be grilled and get a lovely smokey taste. One of my favourites is naan bread. Mix 250 g white flour, 2 tablespoon sugar, 1 tablespoon salt, 1 teaspoon baking soda or baking powder (I use half and half). Add minced garlic or Nigella seeds (optional). Add 2 tablespoon olive oil and 1-1.5 dl milk or yoghurt. Make a dough and set aside for at least 1 hour (can be more). It will not rise but become softer. Cut handful loafs and roll them out to 3 mm thickness on a generously floured surface. The shape can be oval or round. Place the dough on the grill, cook until it gets lightly browned. Then turn over and cook the other side, too. Posted in Bread, Snack. Tags: BBQ, bread, grill on 04/05/2014 by Maagedeli. Mix 3 g fresh yeast with 1 dl milk and 1 teaspoon sugar. Let it stay in a warm place until the yeast pops up on the top of the milk (about 5-10 minutes). Measure 500 g flour, 2 tablespoon salt, 200 g butter and 1,5 dl sour cream in a big bowl. 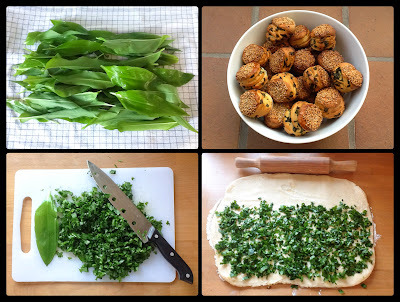 Cover with a tea towel and let it grow for about 45 minutes (or, until it gets double sized). 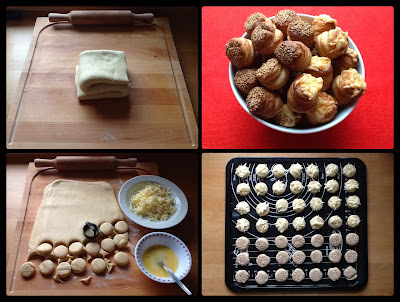 Roll the dough out, spread a thin layer of butter on 2/3 of it and fold as is shown on the photos below (in U-direction). Put it back to the bowl, cover and let it grow for another 30 minutes. Beat an egg in a smaller bowl. 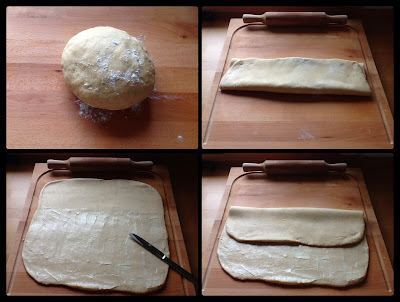 Roll the dough out to 2-3 cm thickness. Cut the dough with a round cookie cutter and dip the top of the puffs in the beaten egg. Place them on a baking tray and add grated cheese on the top. Bake them on 200 ºC for about 20 minutes, or, until they get golden brown. 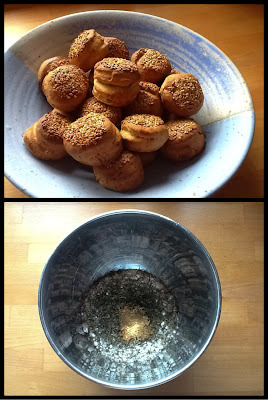 Instead of adding cheese, you can dip the puffs in sesame or poppy seeds. Or, mix sour cream with paprika and spread it on the puffs before baking. 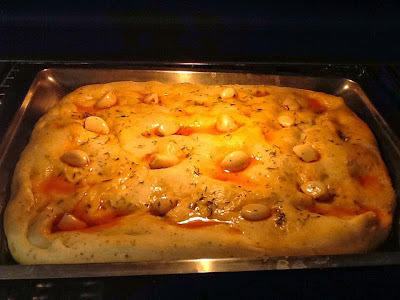 With potato: The ingredients and the proportions are slightly different, but the method is the same. 300 g flour, 150 g fresh, warm, mashed potato, 60 g butter, 1 egg, 2 tablespoon salt + 3 g fresh yeast, 1 dl milk, 1 teaspoon sugar. 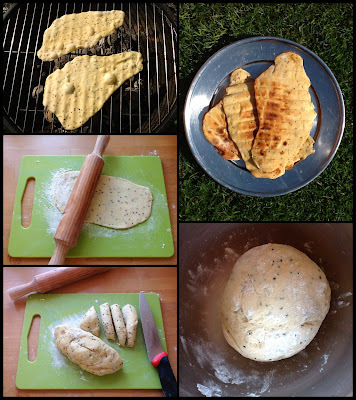 With spices: add a generous amount of ground cumin and dried, crumbled dill to the flour before making the dough. It goes well with sesame topping. 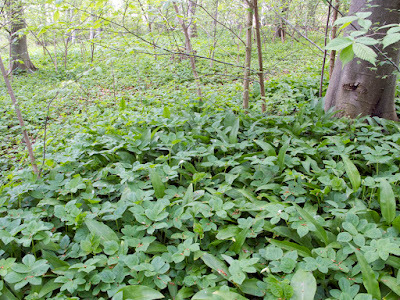 After rolling out and spreading butter on the dough, season it generously with chopped wild garlic or stewed cabbage (as it is prepared for cabbage pasta). I believe that there are many other variations and every kitchen has its own specialty. Pogácsa is a lovely snack for friends gathering, served with wine or beer. 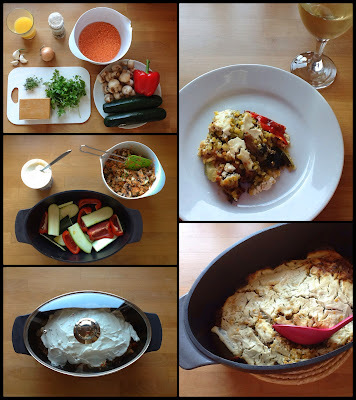 After a soup, pogácsa makes a nice second dish of a light dinner. Pogácsa is also great as part of the luch box. Posted in Bread, Snack. Tags: cheese, pogácsa, sesame seed on 09/04/2014 by Maagedeli. 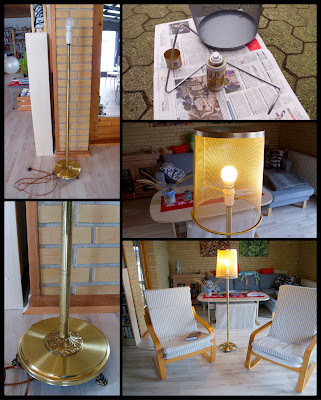 We needed a floor lamp with my boyfriend but we did not really like what we could find in the shops. They either looked cheap or too impersonal - or were just over the budget we would use for this purpose. Fortunately, I happened to find a nice, old stand in a second hand shop. I fell in love with the lion paw legs. Though golden is not my favourite colour, I found it charming, anyway. We just had to find a matching shade. We held a brainstorming and picked the idea of the waste paper basket. We bought a classic metal grid basket in an office supply shop. He bought an aluminium stick and bended it, so it could hold the basket. I coloured both the basket and the stick golden. The lamp got our personal touch and it gives a lovely light, too. Posted in DIY. Tags: colour, golden, lamp, waste paper basket on 18/03/2014 by Maagedeli. 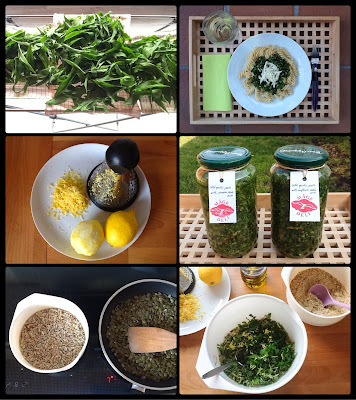 This is one of the fastest dinners I can make - and I make it pretty often, because I love the combination of broccoli, dried basil and garlic. In a cooking pot, cook 1 smaller, finally chopped onion with 4 tablespoon olive oil. Add a big tablespoon white flour and stir until it becomes golden. Add about 1 litter water and 1 chopped potato and cook it for about 5 minutes. Add broccoli florets, 0.5 vegetable bouillon cube, salt, pepper, dried basil powder, 2 finally chopped garlic cloves and cook it until the broccoli becomes soft. Mix it with a blender. Add 0.5 dl cream, stir and warm it up again (do not boil). 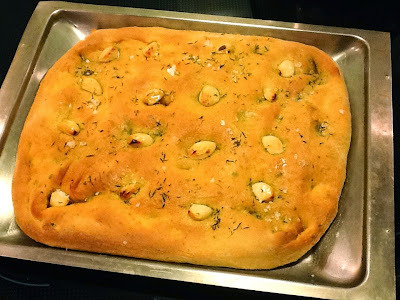 Serve it with sour cream and bread or focaccia. Posted in Soup/starter. 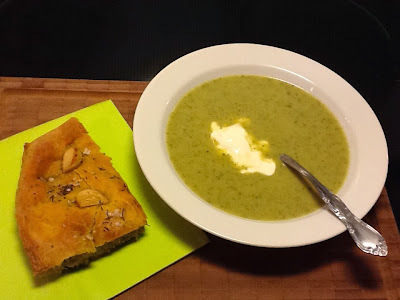 Tags: basil, broccoli, garlic, soup on 11/03/2014 by Maagedeli. If you want to be nice to your colleagues, this is the cake to make and bring to job on a Friday morning. No worries, you do not have to get up at dawn. You can prepare both the dough and the filling the evening before and keep it in the fridge until next morning. Mix 30 g fresh yeast with 50 g sugar and 1.5 dl milk. Measure 500 g white flour, 230 g butter, a pitch of salt and 3 egg yolks in a big bowl. Add the yeast mixture to it. Make a nice, soft dough. Add some more milk if necessary. 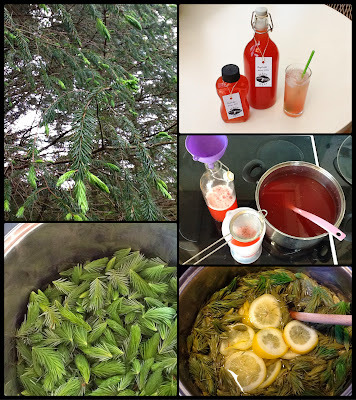 Let it grow for an hour in a warm place or overnight in the fridge. Beat 3 egg whites until it is thick and stiff. Go on with beating and add 250 g icing sugar gradually. Go on with beating and add ground walnuts and desiccated coconut - as much as you like. The more, the better. Roll it out to 5 mm thickness. Spread the filling and roll it on. Cut it up and place the rolls on a baking tray. Bake them on 200 ºC until they become golden brown. Watch out, they can burn easily! Finally: surprise your colleagues with a nice breakfast. Posted in Dessert. 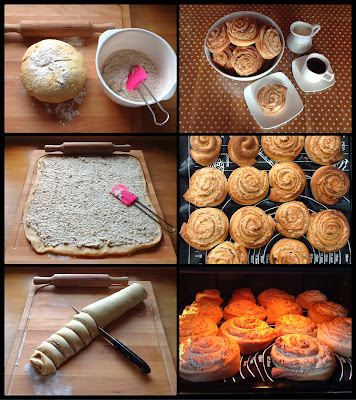 Tags: breakfast, coconut, roll, walnut on 04/03/2014 by Maagedeli.